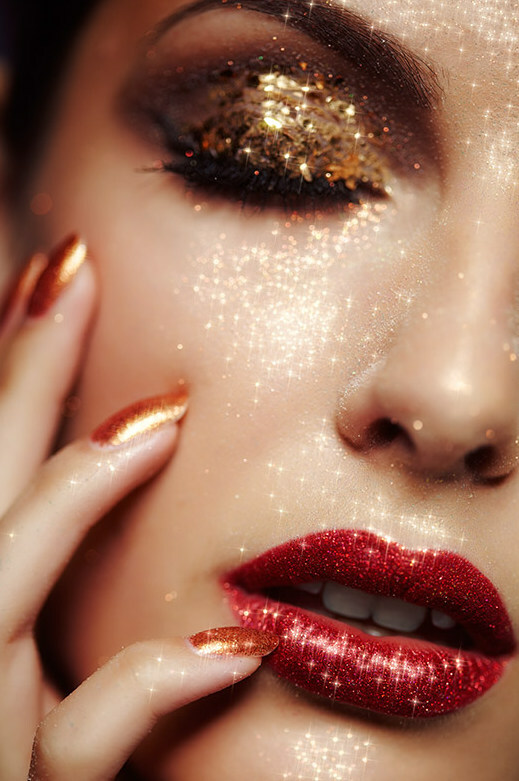 This Christmas, rock the party with your sizzling hot makeup looks! A little bit of glitter and a lot of glamour is what experts recommend this season! As long as its metallic, your choice of color can vary from gold, copper, bronze to silver and chrome. Create a clean base of foundation on your face and you are set for almost anything. Now, get ready to give your classic red lipstick a metallic twist. Pick a bright red lipstick that has the right amount of gold dust to give your supple lips an unmatched and lasting shimmer. A clean stroke of a high color liquid eyeliner with an intense metallic shine will be enough. For extra radiance, mix a brightening liquid illuminator with your foundation for the base, else apply the gold highlighter to enhance your key feature. 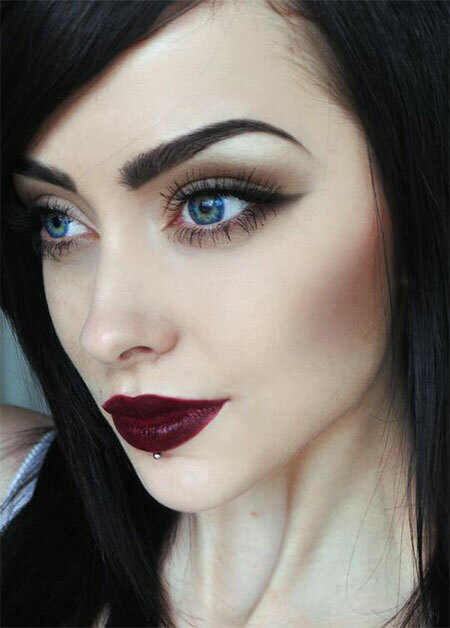 A makeup trend you can’t not try this party season is the riveting, bold and the almost black lips. Pack away your browns and nudes and paint your lips with the deepest, darkest and richest blackcurrant. Celebrities have all been spotted flaunting this latest beauty fad and its time to follow suit. The bold color can be intimidating but don’t let that stop you from experimenting — arm yourself with a fine lipstick brush to give your lips that alluring dark stain, which will surely make many heads turn. Before applying the shade, outline your lips perfectly with a matching pencil. And, when all eyes are on your lips, the key is to keep the rest of your makeup fairly minimal. Let your eyes speak. Let them be the dramatic highlight of your makeup. This party season don’t hold back and go arty and graphic on your eyes. 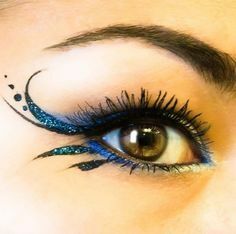 The traditional cat eye are passé now, but if you open the wing and make it two lines then it becomes interesting again. Bring out the artist in you and arm yourself with a stiff pointed brush to paint your eyes in myriad designs. This sure isn’t a look you can wear every day: perfect reason to go the extra mile and try something bold. Keep the color a basic black if you don’t want to go overboard, else options are unlimited — go glitter, or ombre blue.